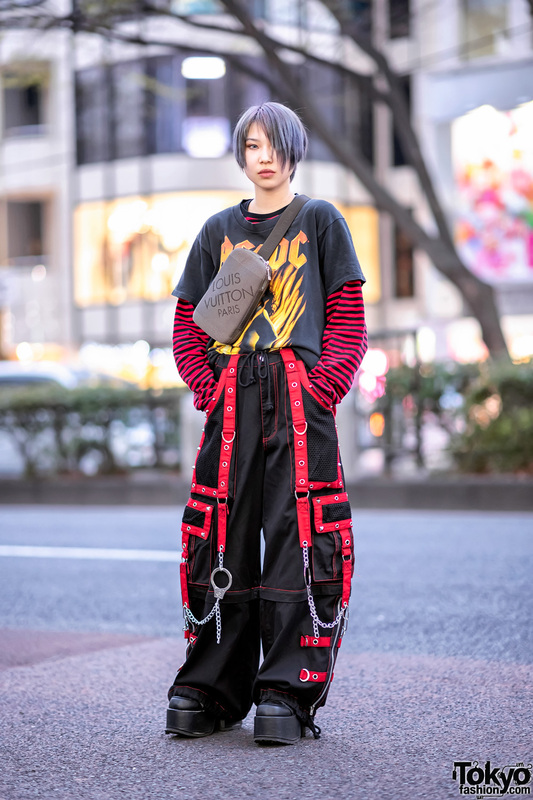 While in Harajuku, we came across Rina, a 20-year-old who works in the apparel industry. Her all black street style easily caught our eye. 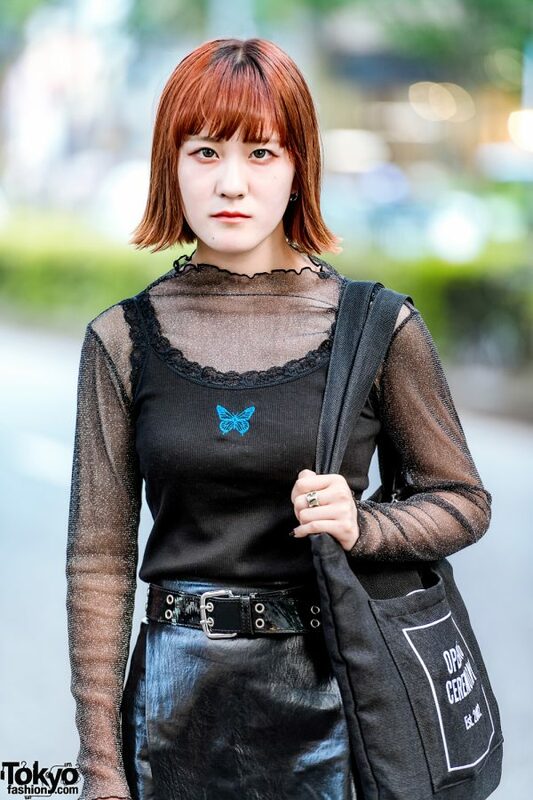 Sporting a fringed flyaway bob hairstyle, Rina is wearing a a black glitter fabric sheer boat neck top from (ME) Harajuku, which she styled with a black tank top with a blue embroidered butterfly and lace trim detail. She donned a black Bubbles pleather skirt cinched with a double grommet pleather belt, sheer black knee socks, and a pair of black platform shoes from Demonia. To complete her look, Rina is wearing silver hoop earrings, a silver belt ring, and she is carrying a black tote bag with white prints from Opening Ceremony. For her social media updates, follow Rina on Twitter and Instagram.